Lifting of the barge Giant with the Kursk submarine hanging underneath at the Sevmach yard. 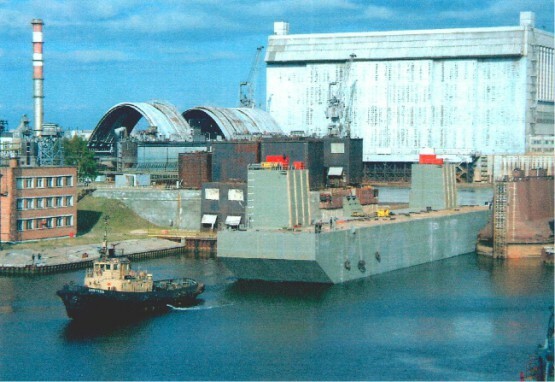 Marine Heavy Lift Partners were responsible for the supervision during construction of the the lifting barges at Sevmash yard in Severodvinsk, Russia. Other responsibilities were the basic and detailed engineering of the grillages that were used for the special lifting points on deck of the barge Giant. Responsibility Supervision of personnel, engineering grillages, hydrostatic calculations.